Hello all! I bet everyone is busy getting ready for Thanksgiving. We have family coming to our home and I will be doing most of the cooking. I guess I better get a menu planned, decorating finished and shopping for our meal.. Does anyone else feel like you are totally disorganized this time of year? In my last post I introduced the lovely Mona at Providence Ltd and the fabulous vintage necklace she is giving away to one of my readers. You can enter my giveaway HERE. I would really appreciate your help spreading the message about the giveaway. Thank you so very much! Not only does Mona have a gorgeous new on-line shop but she is a successful interior designer and has used her talent to create a fabulous home for herself and her husband. 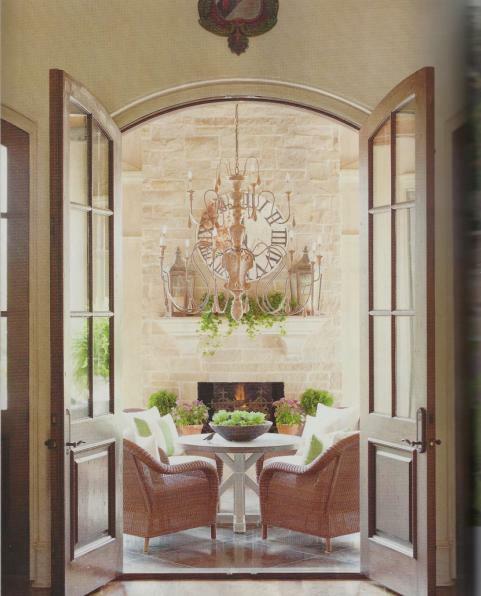 Below is a glimpse of Mona and Don’s home as featured in At Home Arkansas magazine. I hope you enjoyed the tour and will visit the blog Providence Ltd Design and then come back here and enter my Giveaway. Just a reminder that my junkin buddy Lynn at The Vintage Nest is having a Give Thanks party 11/19/10. Thanks for visiting and entering my giveaway! What a stunning home! Just beautiful. That house is so gorgeous it doesn't even seem like it's real! It's like an amazing idea house someone dreamed up! Wow! Disorganized would be a huge under statement!! I think I try to get toooo much done befor e my company comes. HMMMMMMMM but I love it and I love the madness that holidays bring. Thank you for the nice comment you left on my blog. If you do the "cones" you will have to post a picture so I can seeeee!!! My friend, I know just how you feel! I'm feeling a bit disorganized myself as far as Thanksgiving goes. I need to get a "move on"! Hehe! Well dear friend, what an inspirational tour! Mona is certainly a very gifted and talented designer! Ohhh my…her home is GORGEOUS!!! I just love everything about it! 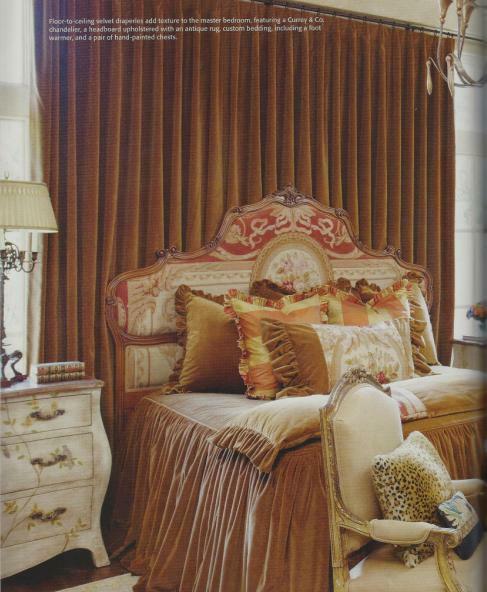 Ohh…and can you believe that fabulous French bed? Simply divine! Thank you for sharing Mona's home with us…and please extend our thank you's to Mona as well! A very talentd lady! Loved this house tour. Thank you so much for sharing. How beautiful! I love that chair in the first picture ~ I'd love to get one of those. 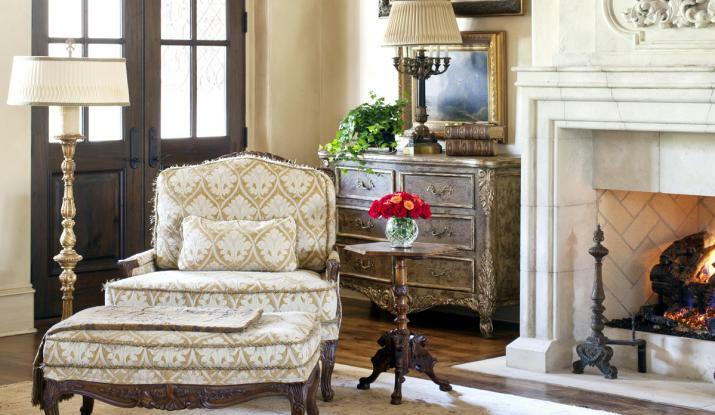 They have a lovely home and its style is one that I could live quite happily in! Sherry, that is a beautiful home. Thanks for sharing. I have guests next week, too and am so bad about waiting till the last minute to get ready. Boy that is some eye candy for all of us Sherry, thanks so much for sharing. Enjoy your holiday and don't get too stressed. I LOVE that kitchen. Wow! What a stunning home! Just beautiful! That kitchen is amazing as well as the bedrooms! Thanks so much for sharing this home with us! Sherry, thank you for sharing photos of this beautiful home. 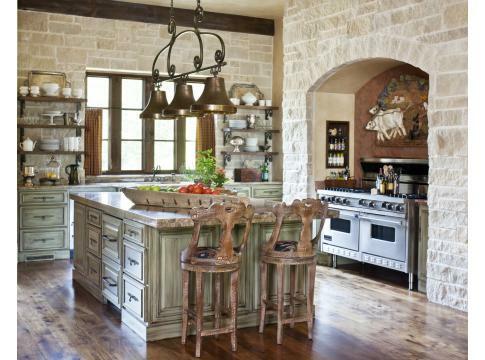 Oh, to have a kitchen like this one! 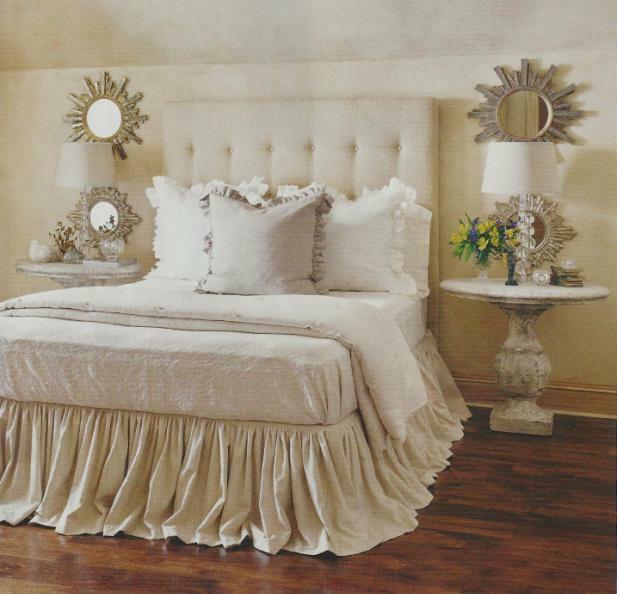 OMG….I want that white bed skirt! I must be crazy for doing a kitchen makeover just before I have Thanksgiving at my house!!! Thanks for stopping by and your nice comments on my kitchen! I appreciate your note about the poly. I am using the polycrylic but I keep calling it polyurethane!!! I am so glad they came up with this water base version because it works great! Love Mona's home. I just can't imagine having something so lovely! Now I have even more inspiration!